Diamond Grip Plus gloves are premium latex exam gloves manufactured by Microflex. 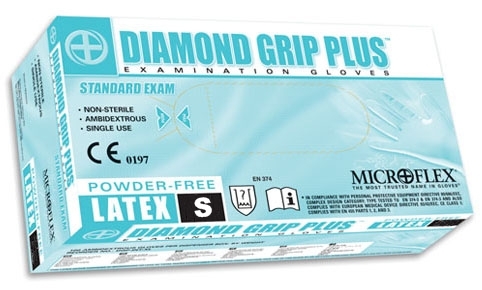 Being 6.3 mils in thickness at the fingers, the Diamond Grip Plus exam gloves have a higher tensile strength and elasticity rating than the ASTM minimum standards. This latex examination glove stretches quite well as expected from a premium latex glove. 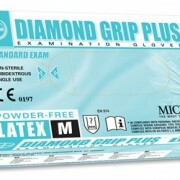 The Diamond Grip Plus exam gloves have a natural latex color.